Konark designs, executes and maintains Sewage Treatment Plants to suit various needs of the hour.Konark specializes in recycling of water for various processes in industries, gardening, etc.Konark has developed New Technology KoSEM(Konark’s Scientifically Engineered Microorganisms) as the outcome of Research & Development for more than last 5 years. 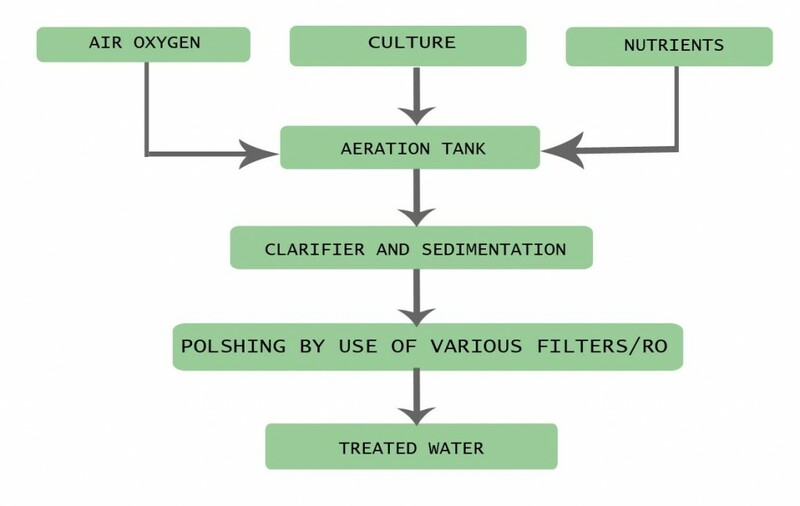 KoSEM is a natural process, where specific micro – organisms are used to transform harmful substances into simple and environmentally safe molecules like carbon-dioxide, water, etc. The microorganisms are specific & chosen for various applications like bio degradation of organic waste, cleanup of accidental spills of petroleum products, removal of pesticides, herbicides, etc. 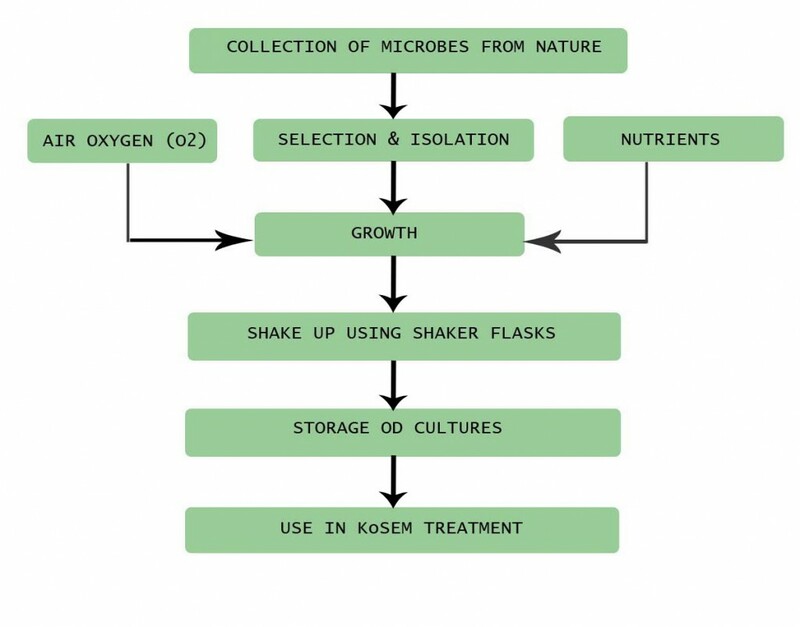 KoSEM is based on the data that all organisms remove substances from the environment to carry out growth and metabolism. Bacteria, Protista and Fungi are very good at degrading complex molecules and resulting breakdown products are generally less toxic & somehow recycled by other organisms. There are three essential components needed for KoSEM Tech. These three components are microorganisms, food, and nutrients. These three main components are known as the KoSEM Triangle. (i) Minimal destruction of environment. (iv) Running cost is low. Sludge disposal is one of the major operating expenses of any Wastewater treatment. – it requires costly disposal system. – Thus land application is a natural and desirable disposal option. – The amount of sludge generation is 40-52 % less than chemical sludge.